Based on the true story of a runaway dog, this story capture's the owners' view of events. 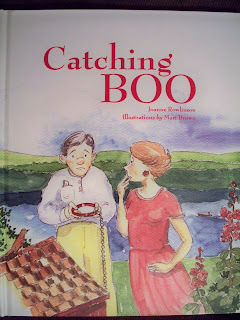 After adopting Boo, Joanne Rowlinson realized Boo was unhappy and she soon went missing. For months the owners searched for and tried to recapture Boo. Without giving away the happy ending, this book is meant to pull at the heart strings. The author decided to use controlled rhymes which makes the story flow poorly. Not all of the rhymes are pure which causes them to be difficult to read aloud. Emotions are lost due to this rigid approach. The execution of this heart-warming tale falls short of engaging the reader.